If you haven’t heard about Starcraft 2 yet then you’ve been living underneath a rock. 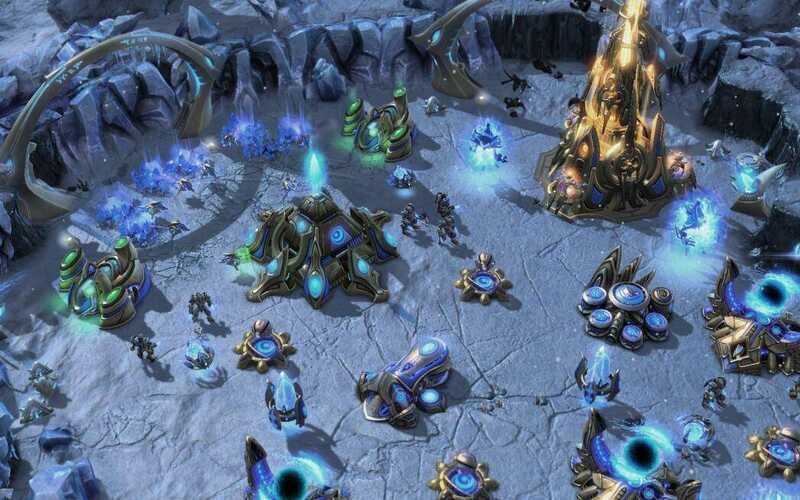 Starcraft 2 has already surpassed its predecessor, with millions already joining in on the online fun. Beyond the obvious appeal of the single player campaign and unique world, Starcraft 2 stands out for its unparalleled balance and level of competition in online play. But with all the competition, at times you can feel ill-equipped to handle players drawing on a much larger knowledge of game mechanics. Anyone stuck in Bronze league knows this feeling. Luckily, Starcraft 2 has a huge community offering solid advice, tips and replays to learn from. Standing out amongst the huge swaths of advice is Shokz Starcraft 2 Guide. This Starcraft 2 guide is easily the most comprehensive guide available, providing advice for both campaign and online play for all three races. Best of all, it’s created by one of the top 100 players in the world, Shokz. It’s hard to go wrong with this guide. Micro and Macro Advice: Being a successful Starcraft 2 player requires mastering both the micro and macro elements of the game. The Shokz Starcraft II guide gives solid advice for practicing and improving both sides of your game. Terran Strategies: Whether you are facing a high level or low level player, a Zerg, Protoss or fellow Terran player, the Shokz Starcraft 2 guide offers strategies for every situation. After reading through the Terran strategies you’ll feel as though you could choose many different build orders and re-actively respond to your opponents strategy and build order. Protoss Strategies: Protoss are a challenging race to play at higher levels, but with the Shokz Starcraft 2 guide you’ll learn the most tried and true Protoss strategies. Whether you choose to go for fast Void Rays, four gate or even a cannon rush, the Shokz Starcraft 2 guide has the best possible build order laid out in a clear and easy to understand instruction set. Zerg Strategies: Zerg are known to be the most challenging of the three races of Starcraft II. They demand heavy micro and macro and depend on map control and unit composition. Learn the best counters for every possible opponent, when to expand and when to defend and how best to go about scouting your enemy. With the Shokz Starcraft II guide you’ll unlock the nearly infinite possibilities of the Zerg race, and find yourself finally matching up against the best Protoss and Terran players. Team Game Strategies: Not many people realize that team play is substantially different than solo, 1v1, play. The Shokz Starcraft II guide provides specific advice for 2v2, 3v3 and 4v4 games! The Shokz Starcraft II guide completely changed my experience. I mean, it SERIOUSLY changed my experience. No, I can’t say that I’m one of the best players in the world after reading the Shokz Starcraft II guide… but then you’d know I’d just be lying. Instead, the truth is almost as impressive. I went from being a mediocre player, relying on cheese tactics to beat better opponents to a high level player able to play against some of the best players in North America in my Masters league. The information contained within the guide is invaluable. I went from middle of Silver all the way up to the Masters league, playing against some very, very talented players. I don’t win every game, but I win a lot. It wasn’t easy, and it took hard work, but I can’t speak highly enough about the Shokz Starcraft II guide’s contribution to my growth as a player! Given all that this guide offers, it’s easy to see its value. It will run you 37 dollars, which isn’t the cheapest guide around. But then, it is so far the best Starcraft 2 guide that you would be wasting your money on any other guide. And honestly, the free advice contained on the official forums doesn’t cut it. This is one of the only chances to get legitimate strategies, tactics and advice from one of the top 100 players in the world. Shokz is a for real Starcraft 2 pro, and this guide reflects that.